In the first of two posts, Dr Gunnar Beck examines the apparent suspension of the rule of law in the EU as countries seek to remedy the eurozone crisis. That German taxpayers may end up assuming liability for the debts and deficits of other Member States. Article 125 TFEU contains the so-called ‘no bail-out’ clause. 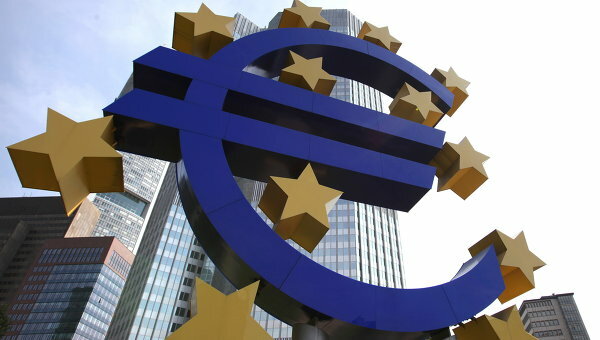 It states that the EU institutions including the ECB must not assume liability for the debts of central, regional, or local governments of the member states of the euro zone, nor must one member state assume liability for the debts of another. Article 126 TFEU provides that ‘Member States shall avoid excessive government deficits.’ As part of the Stability and Growth Pact (SGP) – a separate treaty to facilitate and maintain the stability of single currency which is based on Articles 121 and 126 TFEU – Member States have agreed that their annual government budget deficit should not exceed 3% of GDP and that the gross government debt should not exceed 60% of GDP. These criteria are generally referred to as the convergence criteria. Articles 123 to 127 TFEU are neither vague or imprecise, but clear and unambiguous in their wording. Clarity notwithstanding, the convergence criteria have been ignored by most Member States more often than they have been met, and since the outbreak of the euro crises the ECB and member states have shown very little inhibition when breaking one treaty guarantee after another. It is worth pausing just to highlight the euro zone’s extraordinary disregard for its own legal rules. First, Thilo Sarrazin recently observed that since the inception of the single currency there have been at least 77 breaches of the SGP by the EU Member States. According to Eurostat’s official government deficit and national debt figures Sarrazin may even have understated the case. Amongst the better performing states the Netherlands and Ireland ran excessive deficits for three and four years respectively between 1999-2011, whilst Germany’s budget deficit exceeded the three per cent level for five consecutive years from 2001 to 2005 and then again in 2009 and 2010. Over the same 14-year period Italy’s government deficit remained above the permitted level for at least nine years, and Greece ran a deficit of well in excess of three per cent for every single year during 1999-2011. Of the 17 Member States of the euro zone only Finland, Luxembourg, Slovenia, and Slovakia retained a national debt of below 60 per cent during 1999-2011. The Netherlands kept its debt below that level for eleven of the fourteen years, but in Germany – the country now asked to bail out everyone else – the national debt rose from 61 per cent in 1999 to over 80 per cent from 2010, and rising still. Once the promissory notes and letters of credit issued as part of Germany’s euro rescue policies start coming in, Germany’s national debt may quickly rise to 110 per cent of GDP and beyond. Secondly, Article 123 TFEU which, at German instigation, was designed to safeguard against the financing of government deficits by the printing press, has been consistently violated by the last two ECB presidents since at least 2010. So far the ECB has bought up government bonds from the heavily indebted PIIGS to a known value in excess of 214bn euros. The ECB acquired those debt instruments not directly from governments, but indirectly from financial institutions on the secondary market – a clear breach of the objective, though not of the strict letter of Article 123. Under its Long-term Refinancing Operation (LTRO) the ECB has from December 2011 offered three-year loans of around 1trillion euros to financial institutions at a well below-market level interest rate of 1 per cent, with the intention that the financial institutions use those loans to buy government bonds with a higher rate of interest. In effect, the ECB has been trying to ‘bribe’ banks to buy bad government debt. The ECB is thereby turning bad banks into worse banks which will then have to be bailed out by already heavily indebted governments which in turn have to call on the EU rescue funds bankrolled by the Central European euro zone countries, notably Germany. Finally, when financial institutions borrow from their central banks – whether short-term or long-term as under the LTRO, they are required to deposit government bonds and other collateral securities. The ECB has repeatedly lowered the quality rating requirements of these securities, which may now include government bonds at junk or near-junk bond status. No private-sector creditor would accept these bonds as securities at anything but a fraction of their value. The ECB artificially sustains a market for bad euro zone government debt. If the financial institutions do not pay back their loans, the ECB will be left sitting on a big debt maintain. The ECB may not have bought the toxic debt directly, but the write off will be same. Thirdly, the European Stability Mechanism (ESM) is a permanent rescue fund which may grant loans to struggling euro zone government by issuing bonds which are guaranteed collectively by the euro zone members, with Germany assuming the largest potential liability, and France next in line. Like its predecessor, the inter-governmental European Financial Stability Facility, and the EU Commission-administered European Financial Stabilisation Mechanism which too were set up to provide financial assistance and guarantees to countries in financial distress, the establishment of the ESM represents a manifest breach of the no bail-out clause contained in Article 125 TFEU. A recent amendment to Article 136 TFEU which authorises euro zone members to set up the ESM on an inter-governmental basis, does not invalidate or affect the operation of the no bail-out clause which forbids debt burden-sharing amongst euro zone members. The ESM Treaty expressly authorises the fund to make loans and guaranties to embattled euro zone countries, which is at odds with the spirit of Article 123 TFEU and directly contradicts the wording of Article 125 TFEU. So far Greece, Portugal, Ireland and Spain have been recipients of bail-out funds. Further bail-outs seem inevitable and are likely to include further assistance to Greece, Spain, Cyprus, probably Ireland and possibly Italy and other countries. Fourthly, not only is the ESM itself a breach of Article 125 TFEU. Article 3 of the ESM Treaty which states expressly that the fund is to provide financial assistance for euro zone governments, was violated by Chancellor even before her own parliament ratified the treaty when on the morning of 29 July she authorised that the fund could also be used to bail out bancrupt banks in the euro zone in express breach of Article 3. Hans-Werner Sinn of the Ifo Institute in Munich has argued that these open bail-outs are merely the tip of the iceberg. The ECB’s TARGET2 inter-central bank payments clearing system operates on the basis that payments for exports in goods and services from country A to country B do not involve an inter-state transfer of actual funds but are settled by means of corresponding debit/ credit bookkeeping entries with the ECB, which involve a Target2 credit for the central bank of the exporting country A and a Target2 debit entry for the central bank of importing country B. Up to 2007, these debit/ credit transactions on the balance sheets of the central banks tended to cancel each other over time. However, since then growing trade and current account imbalances in favour of the northern euro zone states especially Germany together with growing government debt and increasing private sector indebtedness have meant that the Bundesbank has been running up TARGET2 credits against primarily the Southern European central bank. As of March 2012 TARGET2 liabilities of the central banks of the PIIGS countries amounted to around 818bn euros, set against circa 644bn euros Target2 claims by the Bundesbank.Unsecured TARGET2 claims against other central banks now account for nearly 65% of the entire assets of the German central bank. It is highly unlikely that in the event of a default of one or more euro zone members or a total breakup of the euro zone, TARGET2 creditors would recover their credits. The TARGET2 liabilities effectively mean that the central banks in the stronger countries have bankrolled the trade and public deficits in the weaker states by enabling their central banks to grant loans and overdrafts to the private and public sectors in these states. This could happen because the central banks in the PIIGS did not have to transfer any gold or currency reserves to the creditor states; all that was required by way of payment was a double entry bookkeeping operation with a (non-enforceable) credit entry for the Bundesbank. According to Professor Sinn the TARGET2 liabilities which have been built up by the southern European central banks amount to a colossal stealth bail-out of the PIIGS by the Bundesbank and the other smaller central European central banks excluding France. The only one of the original Maastricht safeguards which the ECB may arguably not be in breach of is Article 127 TFEU. Broadly speaking, the ECB has since 2010 followed the US Federal Reserve and the Bank of England and adopted a policy of quantitative easing, low interest rates, and ‘easy money’ for financial institutions. Potentially inflationary effects, however, have been offset by the effects of the recession, a fall in oil prices and a general reluctance by banks to continue offering ‘easy credit’ to either businesses or the general public. For this reason and notwithstanding the ECB’s easy credit and potentially inflationary monetary policy, inflation has not so far risen much above three per cent in most euro zone countries for any sustained period of time since 1999. When to comes to core interests and polices, governments, their ministers and officials, almost everywhere are less constrained by the law than anyone else. They usually do so with impunity, and certainly do not normally openly expose the ‘noble lie’ of the rule of law. The EU, however, of late seems to have adopted a more open and refreshingly candid attitude in this regard. Christine Lagarde, the former French minister and current head of the IMF was disarmingly honest when she frankly admitted that ‘we broke the law to save the euro.’ And when she lectured the Greeks that they should finally start paying their taxes, she did not subsequently issue a denial when someone pointed out that her own salary as head of the IMF was tax-free. Mme Lagarde’s candour has – no doubt rightly – met with very little criticism. But the widespread recourse to treaty violations by the EU and its Member States can over time only undermine public confidence already damaged by the Union’s perceived lack of democratic accountability, decision-making inertia and economic mismanagement. Habitual treaty violations are also unlikely to foster those legal and political attitudes of rule-compliance which may have prevented the sovereign debt crisis but without which it certainly cannot be resolved. The EU is founded on the ‘rule of law.’ The expression appears in the preamble to the EU Treaty and then again in Article 2 TEU as one of the Union’s key values together with democracy, freedom and respect for human dignity. Constitutional and treaty commitments notwithstanding, Article 126 TFEU and the SGP have been violated by about two thirds of the eurozone’s 17 member state year in year out. And the ECB did not apparently think twice before, in clear breach of the clearly stated aims of monetary union, it embarked on a programme of buying bonds from the weaker eurozone governments, nor indeed when it decided on its infusion of one trillion euros in cheap loans into the banking system for three years at just one per cent interest which was designed to induce the banks to invest in bonds they otherwise would not have bought. Nor did it take the necessary measures that could have prevented some central banks to run up TARGET2 liabilities in excess of 800bn euros, all in patent disregard of Article 123 TFEU and the no bail-out clause. And the Member States themselves seemed unperturbed by unequivocal treaty restrictions when in 2011 they agreed to replace existing bail-out funds with a permanent rescue fund, the ESM, which is designed to operate as a kind of institutionalised treaty violation. Over time, political systems that flagrantly disregard their own fundamental constitutional and legal rules lose legitimacy as well popular and international credibility with consequential effects on their legal culture, mutual trust and general public confidence in institutions and authority generally. the European System of Central Banks, i.e. the network of formerly independent national central banks which now operate under the direction of the ECB and which no longer formulate their own independent monetary policy. This entry was posted in Discussion and Debate and tagged Gunnar Beck by eutopialaw. Bookmark the permalink.